Carmelita Pope (April 15, 1924 – April 3, 2019) was an American actress of stage and screen. Jocelyn Brando was an American film, stage, and television actress. Marlon Brando Jr. was an American actor and film director. With a career spanning 60 years, he is well-regarded for his cultural influence on 20th-century film. Brando's Academy Award-winning performances include that of Terry Malloy in On the Waterfront (1954) and Don Vito Corleone in The Godfather (1972). Brando was an activist for many causes, notably the civil rights movement and various Native American movements. He is credited with helping to popularize the Stanislavski system of acting, having studied with Stella Adler in the 1940s. He is often regarded as one of the first actors to bring Method Acting to mainstream audiences. Pope's break as an actor came when she was cast by George Abbott as the lead, Corliss Archer, first as a replacement in the Chicago cast  and subsequently in the U.S.O. production of his play Kiss and Tell that was to tour Italy and Northern Africa in 1945. George Francis Abbott was an American theater producer and director, playwright, screenwriter, and film director and producer whose career spanned nine decades. It was Pope's performance as anointed saint Mother Cabrini in the 1947 film Citizen Saint (under her stage name, Carla Dare) that drew the attention of director Elia Kazan. He subsequently cast her as Kim Hunter's understudy in the Broadway production of A Streetcar Named Desire . She was reunited with childhood friend Marlon Brando, who was playing Stanley. Elia Kazan was a Greek-American director, producer, writer and actor, described by The New York Times as "one of the most honored and influential directors in Broadway and Hollywood history". 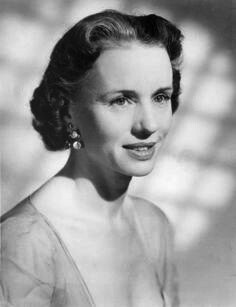 Kim Hunter was an American film, theatre, and television actress. She won both an Academy Award and a Golden Globe Award, each as Best Supporting Actress, for her performance as Stella Kowalski in the 1951 film A Streetcar Named Desire. 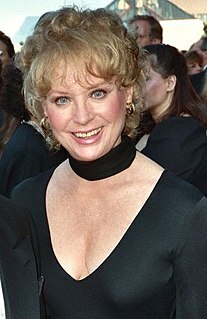 Decades later, she was nominated for a Daytime Emmy Award for her work on the long-running soap opera The Edge of Night. She also portrayed the character of chimpanzee Zira in the first three installments of the original film adaptation Planet of the Apes. After the announcement that a large portion of the original cast (including Kim Hunter) would be leaving A Streetcar Named Desire in 1949, the producers put out a casting call for actors to replace them. Hunter, who had never missed a performance, told Pope that she would fake an illness and miss a day so that Pope could perform for the producers. Surprising even Pope herself, Hunter did call out sick one day, and Pope went on. She signed her contract to play Stella the next day. Pope remained with the production until it closed. Down You Go was an American television game show originally broadcast on the DuMont Television Network. The Emmy Award-nominated series ran from 1951 to 1956 as a prime time series primarily hosted by Dr. Bergen Evans. The program aired in eleven different timeslots during its five-year run. General Hospital is an American daytime television medical drama. It is listed in Guinness World Records as the longest-running American soap opera in production and the second longest-running drama in television in American history after Guiding Light. Concurrently, it is the world's third longest-running scripted drama series in production after British serials The Archers and Coronation Street, as well as the world's second-longest-running televised soap opera still in production. 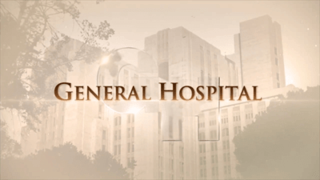 General Hospital premiered on the ABC television network on April 1, 1963. Same-day broadcasts as well as classic episodes were aired on SOAPnet from January 20, 2000, to December 31, 2013, following Disney-ABC's decision to discontinue the network. General Hospital is the longest-running serial produced in Hollywood, and the longest-running entertainment program in ABC television history. It holds the record for most Daytime Emmy Awards for Outstanding Drama Series, with 13 wins. Days of Our Lives is an American daytime soap opera broadcast on the NBC television network. It is one of the longest-running scripted television programs in the world, airing nearly every weekday since November 8, 1965. It has since been syndicated to many countries around the world. Until the network's closure in 2013, Soapnet rebroadcast episodes of Days on a same-day basis each weeknight at 8:00 and 10:00. The series was created by husband-and-wife team Ted Corday and Betty Corday. Irna Phillips was a story editor for Days of Our Lives and many of the show's earliest storylines were written by William J. Bell. Following the death of her husband in 1986, Pope moved to Los Angeles, where she served as the director of the Hollywood office of the American Humane Association. She remarried in 1988 and retired to Stuart, Florida. A Streetcar Named Desire is a play written by Tennessee Williams that opened on Broadway on December 3, 1947. The play dramatises the life of Blanche DuBois, a southern belle who, after encountering a series of personal losses, leaves her aristocratic background seeking refuge with her sister and brother-in-law in a dilapidated New Orleans tenement. Jessica Tandy was an English-American stage and film actress best known for her Academy Award winning performance in the film Driving Miss Daisy. Tandy appeared in over 100 stage productions and had more than 60 roles in film and TV. Kim Stanley was an American actress, primarily in television and theatre, but with occasional film performances. Eva Marie Saint is an American actress. In a career spanning 70 years, she is possibly best known for starring in Elia Kazan's On the Waterfront (1954), for which she won an Academy Award for Best Supporting Actress, and Alfred Hitchcock's North by Northwest (1959). She received Golden Globe and BAFTA Award nominations for A Hatful of Rain (1957) and won a Primetime Emmy Award for the television miniseries People Like Us (1990). Her film career also includes roles in Raintree County (1957), Exodus (1960), The Russians Are Coming, the Russians Are Coming (1965), Grand Prix (1966), Nothing in Common (1986), Because of Winn-Dixie (2005), Superman Returns (2006), and Winter's Tale (2014). Uta Thyra Hagen was an American actress and theatre practitioner. She originated the role of Martha in the 1962 Broadway premiere of Who's Afraid of Virginia Woolf? by Edward Albee. Because Hagen was on the Hollywood blacklist, in part because of her association with Paul Robeson, her film opportunities dwindled and she focused her career on New York theatre. Stanley Kowalski is a fictional character in Tennessee Williams' play A Streetcar Named Desire. Irene Gladys Selznick was an American socialite and theatrical producer. Julius Caesar is a 1953 epic Metro-Goldwyn-Mayer film adaptation of the play by Shakespeare, directed by Joseph L. Mankiewicz, who also wrote the uncredited screenplay, and produced by John Houseman. The original music score is by Miklós Rózsa. The film stars Marlon Brando as Mark Antony, James Mason as Brutus, John Gielgud as Cassius, Louis Calhern as Julius Caesar, Edmond O'Brien as Casca, Greer Garson as Calpurnia, and Deborah Kerr as Portia. A Streetcar Named Desire is a 1951 American drama film, adapted from Tennessee Williams's Pulitzer Prize-winning 1947 play of the same name. It tells the story of a southern belle, Blanche DuBois, who, after encountering a series of personal losses, leaves her aristocratic background seeking refuge with her sister and brother-in-law in a dilapidated New Orleans tenement. The Broadway production and cast was converted to film with several changes. Lois June Nettleton was an American film, stage, radio, and television actress. She received three Primetime Emmy Award nominations and won two Daytime Emmy Awards. Guys and Dolls is a 1955 American musical film starring Marlon Brando, Jean Simmons, Frank Sinatra, and Vivian Blaine. The film was made by Samuel Goldwyn Productions and distributed by Metro-Goldwyn-Mayer (MGM). It was directed by Joseph L. Mankiewicz, who also wrote the screenplay. The film is based on the 1950 Broadway musical by composer and lyricist Frank Loesser, with a book by Jo Swerling and Abe Burrows, which, in turn, was loosely based on "The Idyll of Miss Sarah Brown" and "Blood Pressure", two short stories by Damon Runyon. Dances were choreographed by Michael Kidd, who had also staged the dances for the Broadway production. Reiko Sato was an American dancer and actress. Truckline Cafe was the title of a 1946 Broadway play written by Maxwell Anderson, directed by Harold Clurman, produced by Elia Kazan, and starring Marlon Brando and Karl Malden. The short-lived play ran only 13 performances and is best remembered today for the fact that each night Brando would run up and down a flight of stairs prior to an entrance to induce an effectively frenzied demeanor for one of the scenes. The cast also included David Manners, to whom Brando has attributed much of his subsequent success, and Kevin McCarthy. The play is noted for Brando's first major appearance on Broadway, during which he garnered attention for an unusually intense performance which presaged his later work on A Streetcar Named Desire. Truckline Cafe is also notable for being the first collaboration between Brando and Kazan, who later made A Streetcar Named Desire, Viva Zapata, and On the Waterfront together. The play also remains notable for being the first time Brando and Malden worked together, prior to co-starring in A Streetcar Named Desire, On the Waterfront, and One Eyed Jacks. Peg Hillias was an American actress of stage, film and television. She may be best known for her role as Eunice Hubbell, neighbor to Stanley and Stella Kowalski in A Streetcar Named Desire, which she played on Broadway and reprised in the film version, starring Vivien Leigh and Marlon Brando. She died at age 45 from undisclosed causes in Kansas City, Missouri. I Remember Mama is a play by John Van Druten based on Kathryn Forbes' novel Mama's Bank Account, which was loosely based on her childhood. It is a study of family life centered on a Norwegian immigrant family in San Francisco early in the 20th century. 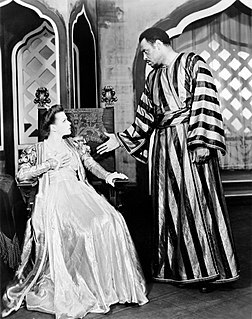 The play premiered on Broadway on October 19, 1944 at the Music Box Theatre in New York City, where it ran for 713 performances; it was produced by Richard Rodgers and Oscar Hammerstein II. The cast included Mady Christians, Oscar Homolka, and Joan Tetzel. Marlon Brando played a minor role, making his Broadway debut as Nels. ↑ Daniels, Mary. "Carmelita Pope: 'Bud' Brando's 'Sweetheart.'" Chicago Tribune 12 September 1976. 1 2 Beck, Joan. "TV Star Likes her Role as Housewife Best." Chicago Tribune, 17 October 1951. ↑ "Broadway Follow-Up: A Streetcar Named Desire." Billboard , New York, 16 June 1949. ↑ Pendreigh, Brian (2002). "We Remember." Simian Scrolls. ↑ O'Dell, Cary (December 27, 2017). Gale, Neil, ed. "Carmelita Pope – One of the First Ladies of Chicago Television". The Digital Research Library of Illinois History Journal. Retrieved April 5, 2019. ↑ "Carmelita Pope". Idaho Statesman . Legacy.com. April 2019. Retrieved April 5, 2019.